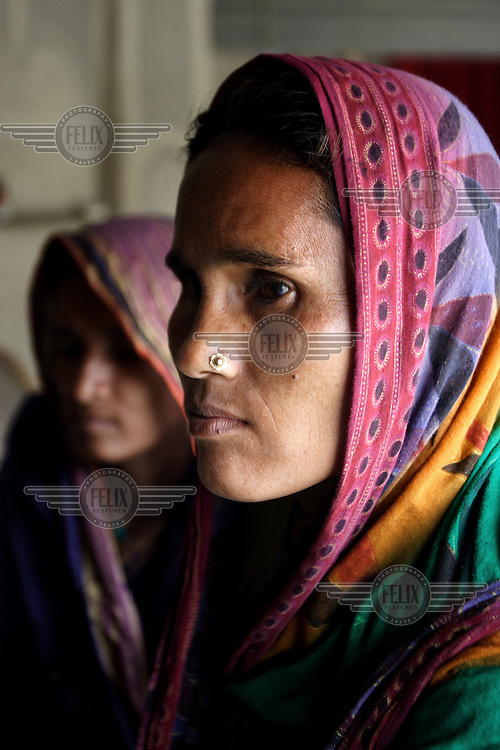 Women attend a meeting of Change Makers in the village of Dinajpur. 'We Can (end all violence against women)' is a grassroots campaign of ordinary men and women across South Asia who are seeking to find solutions to violence in their homes and lives, and find ways to reject it. Central to the campaign are the Change Makers, people actively committing to not perpetuating or supporting violence and influencing others to take a similar path.